Spring has been unusually cold here in Wisconsin, but luckily the snow is melting and the flowers starting to bloom! Get a head start on your spring landscaping with a pop of color on your porch or in your gardens with hanging baskets from the Lake Mills Rotary Club! These beautiful annual flower hanging baskets are ten inches in diameter and you have the choice of sun, shade or mixed with a variety of colors and flowers. 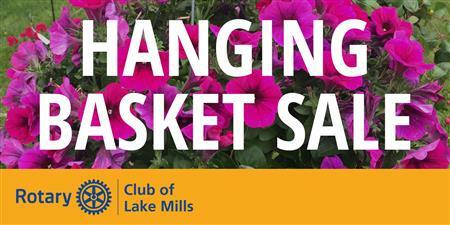 Each purchase of a hanging basket goes toward Lake Mills Rotary Scholarships for higher education for graduating high school students in Lake Mills. The sale runs from Tuesday, May 7th through Sunday, May 12th. Choose your own baskets at Watson's Ace Hardware or during the Farmers Market on May 7th, or get one delivered to you by a Rotarian! 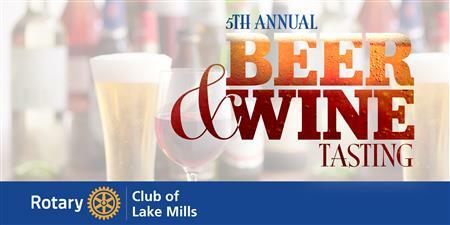 The Lake Mills Rotary Club is excited to announce it will be holding its fifth annual Craft Beer & Wine Tasting event at Lakeside Lutheran High School on January 26th, 2019. The event will feature a large variety beers and wines for sampling, some non-alcoholic beverage options, and heavy hors d’oeuvres and desserts. There will be a silent auction with some very high quality items, and an always fun 50-50 cash raffle. 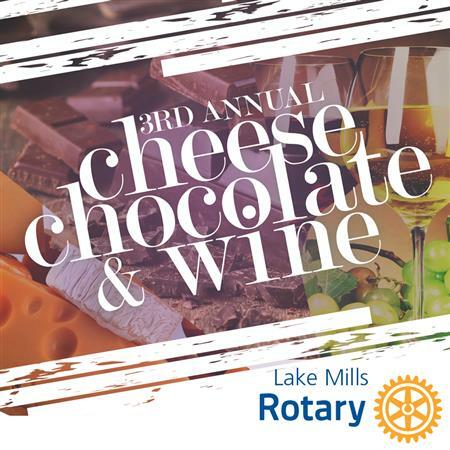 Join us as we celebrate “the fabric of Wisconsin” at the Lake Mills Rotary’s Third Annual Cheese, Chocolate & Wine Tasting. 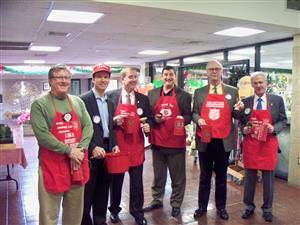 Our event will again take place at the beautiful City Hall in Lake Mills. Enjoy an abundance of fresh cheese – taste some old Wisconsin favorites and meet some new ones. Sample handcrafted chocolates from local and regional chocolatiers. Relax and enjoy a variety of Award Winning Wisconsin wine. The Lake Mills Rotary Club is pleased to announce new evening meeting times meant to appeal to those that would like to be involved with a local service organization, but whose schedules make it difficult for them to attend daytime meetings.